In the lead up to Christmas, we’re giving a 1% discount on all gold coins and bars (excluding kilo bars). To receive your discounts, all you need to do is to work out the easy discount code names. There will be a new clue given every day over 12 days. 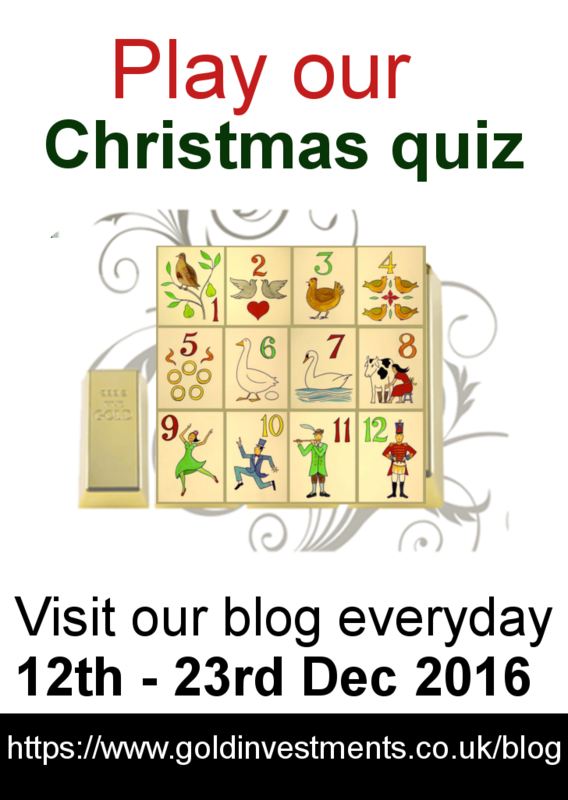 The quiz starts Monday 12th December & ends on midday Friday 23rd December (the last day before we close for Christmas).